From Dave Snow (Col ‘83): The last official Easters party. 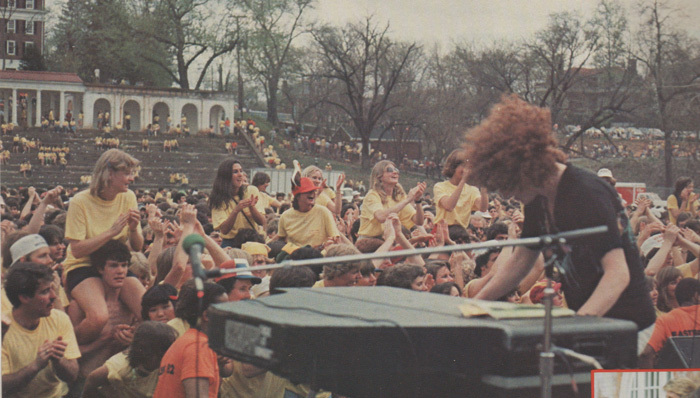 Those ugly yellow tee-shirts were our admission ticket. It wasn’t quite like the older days at Mad Bowl, but still pretty good.